Project supplies include: Burlap fabric, a variety of acrylic paint colors, beach ball pattern, plastic bags to stuff, a variety of ribbon, hot glue, and a wire hanger. 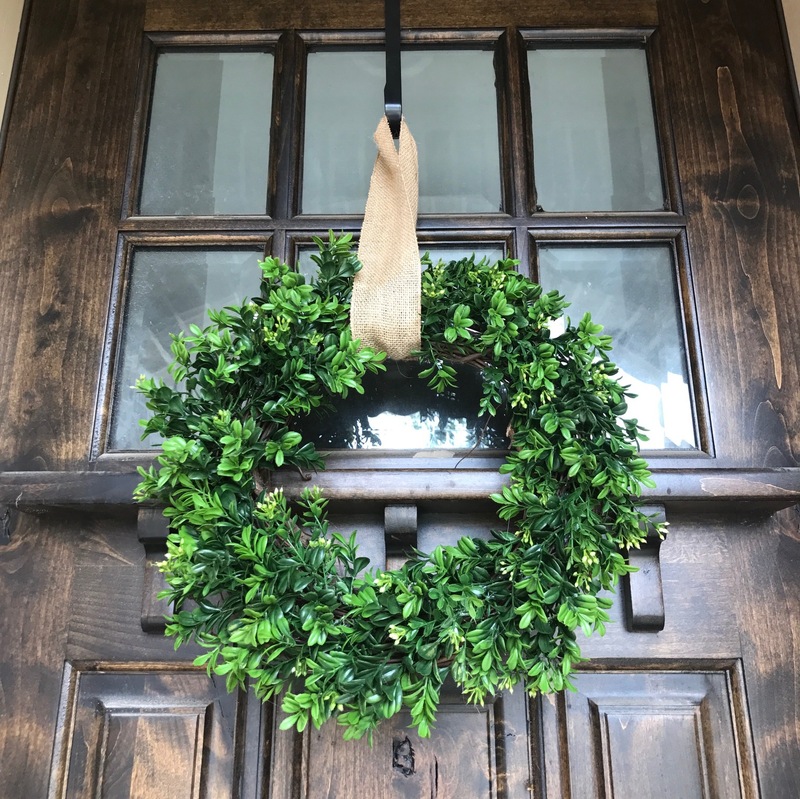 Project Option 2: Create this one of a kind, 12″ wide, boxwood wreath to hang indoors on a gallery wall or outdoors on your door. Burlap hanging ribbon included. 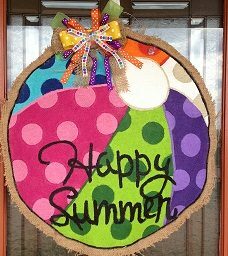 Register for June’s Beach Ball Burlap Door Hanger or Boxwood Wreath. RSVPs and cancellations for this craft are due by Wednesday, June 21 so we have enough supplies. If you need to cancel after this date, please let us know and we will email you an invoice and set up a time for you to pick up a kit.